A stunning French style wide 3 drawer chest with intricate carved details. 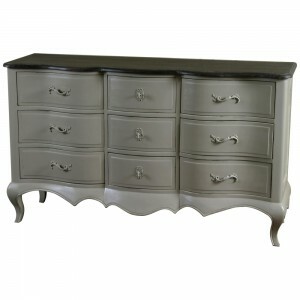 This chest is constructed from mahogany and finished in a beautiful shabby chic light grey finish. It looks fabulous as alone piece or when matched with our Loire rattan French bed.